Buy a capacitor tester to check a capacitor capacitance. Fast delivery competitive prices order today. 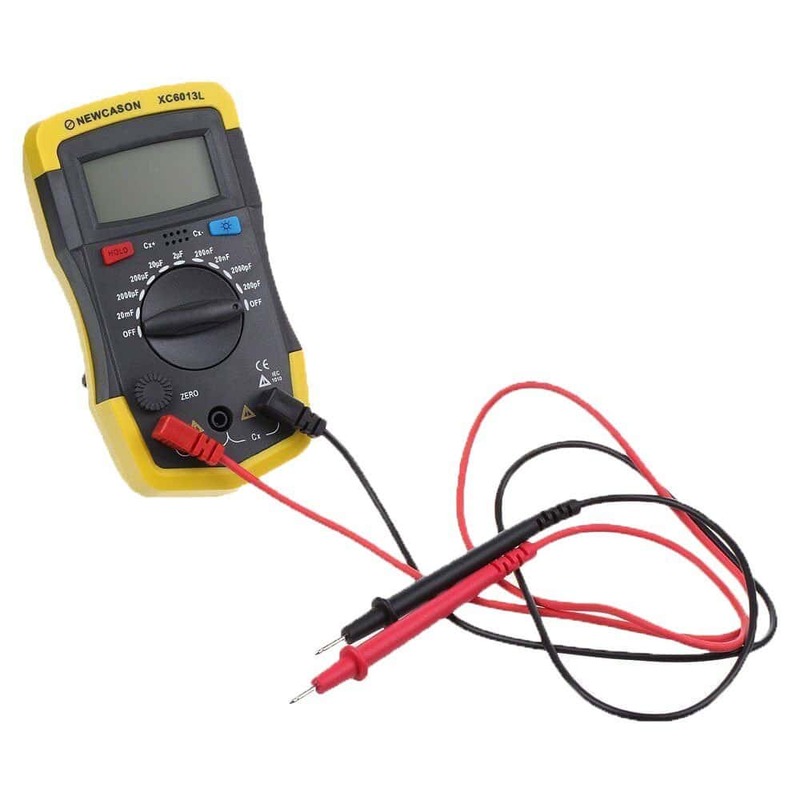 Capacitor Testers – Get fast, accurate readings with this easy-to-use capacitor tester. It features a large display for improved readability with large numbers. It’s lightweight and easy to grip and hold. Good for using in poor light where other smaller screens would be difficult to read. It’s also bright yellow, making it harder to leave behind on a job or otherwise lose! A practical tool which is useful for a range of electrical work, including overhauling all kinds of circuit boards and measuring the capacitance of cables, switches and printing electrocircuits. It’s also useful for sorting capacitors – using your capacitor tester means you don’t need to decode capacitors and spend too much time finding their true values. The capacitor tester is intuitive to use and get findings from, and designed for ease of use and accuracy of readings. Set the meter range before use to get the right readings. The controls are deliberately chunky to make them easy to operate even when wearing gloves. The main control is a dial featuring nine measuring settings allowing you to easily set the capacitance range with a turn of the wrist. It’s also battery powered with batteries supplied, and the tester is designed for low power consumption so you won’t need to replace the batteries too often. A good tool for taking quick and reliable capacitance readings on motor run capacitors. 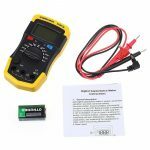 Using this capacitor tester is super easy, find out what uF reading your capacitor is, turn the dial to the setting which is slightly above your your capacitor, for example if your capacitor is 18uF set the capacitor tester to 20uF by turning the dial then touch the wires on the capacitor with the capacitor tester wires, it doesn’t matter which way round. The capacitor tester will instantly tell you if your capacitor is in range, most capacitors need to be within plus or minus ten percent for a motor to run optimally, if your capacitor is outside of this range it means it is starting to fail.